While it’s normal for teens to want to sleep in and miss school on occasion, it’s cause for concern if they’re vocalizing that they don’t want to go to school. If they appear distraught each morning before getting on the bus, you need to find out why. Likewise, if they stop spending time with friends or engaging in social activities that they once enjoyed, it should raise alarm bells. 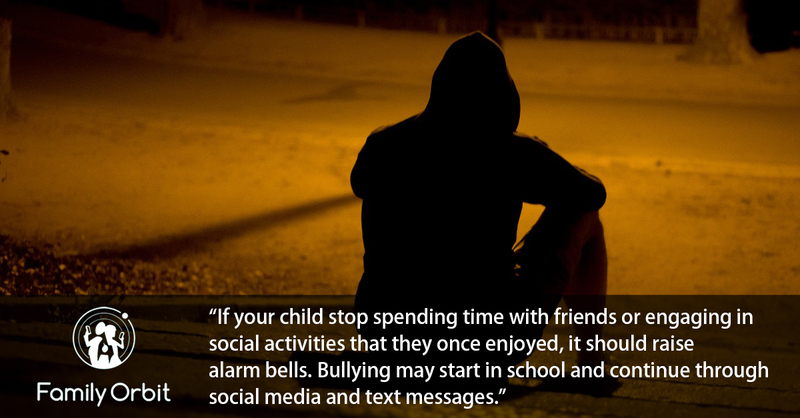 Bullying may start in school and continue through social media and text messages. Does your once happy and typically pleasant teen girl suddenly seem increasingly angry, frustrated, and upset? While everyone’s mood fluctuates from time to time, a noticeable change could indicate a problem. Teens who are bullied may feel ashamed, embarrassed, and angry. If they’re keeping the bullying a secret, it can come out in the form of frustration. Pay attention to how your teen reacts after receiving emails, texts, or checking their social media accounts. A sudden change in mood, acting anxious or nervous, and being visibly upset or rattled are signs to look out for. You may need to ask to take a look at the messages that they’re receiving, if you aren’t already able to access their accounts. Let’s be honest about it- teens like to spend more time alone and with their friends than with their families. However, if you observe that your teenager is withdrawing on a daily basis, skipping meals that you typically eat together and avoiding gatherings, it is cause for concern. Your teen may retreat to their bedroom, often with their mobile device or laptop, and spend hours locked away alone. That’s when you need to step in and knock on their door to find out what may be going on. Any time that you notice a significant change in your child’s weight, whether they’re gaining or losing quickly in a short amount of time, it’s something to examine more closely. Appetite changes are a common sign of depression. It’s up to you as a parent to be vigilant and on the lookout for any of these signs. Staying on top of your child’s online activity is essential. With proper monitoring, you can hopefully confront an issue before it becomes a serious threat to your daughter’s well-being.